After a long hard thought of a mission in her earlier years of life she purchased the property in 1996, in Huntsville, Tennessee where is better known today as Four Oaks Funeral Home, after long hard work to renovate, remodel and open in December 15, 1996 to serve the families of Scott County and surrounding counties. Four Oaks Funeral Home got its name by the nature of four oak trees standing on the property at the time of construction. In 2009, due to lighting striking one of the big oak trees and destroying it, had to be taken down as you will see in the memories section on our website. With another purchase of property in Oneida, Tennessee, which is better known as Four Oaks Funeral Home of Oneida, Tennessee, where she has been founder, owner, manager and designer of both locations with the exterior and interiors from the open mind and knowledge that she has stored and decided to share her own image to a well known and compassionate business. The Huntsville location was opened in December of 1996 and the Oneida location was opened in August 2000. Born in No Business (Scott County, Tennessee adjoining the edge of Bell Farm, Kentucky and adjoining the Big South Fork National River) on October 2, 1942 by Dr. Milford Thompson, with the delivery at home. In order to get to the residence, he had to cross the river with paddle boat or better known during those days as a jon boat, better known as the Big South Fork River. He rode with a horse to continue to get to residence after crossing the river. She was the last child born in No Business Community. Growing up she attended the School of No Business with Huston Blevins being her school teacher (1st teacher). Started school in No Business the 1st and 2nd grade at an early age, and then leaving No Business and started the 2nd grade of school at Burchfield Elementary School in Oneida, Tennessee, better known as the Coopertown Community. While living in No Business, they raised sheep, chickens (broilers), rabbits, hogs, milked cows, fishing, gardening and farming fields, whatever the wildlife to eat to survive. They also raised cattle but were never able to eat the beef while growing up. Their means of electricity was kerosene oil lamps, and the heat was of coal or wood burning stoves and also used for cooking, the water was from a natural spring for drinking and washing of clothes. After entering the 2nd grade at Burchfield Elementary, they moved to Pistol Lane, better known as the Coopertown Community. The way they achieved their property was a trade of livestock they had on their farm in No Business to get property to start a family on Pistol Lane, by her father and mother. At that time she started to finish out her second year at Burchfield Elementary School, continued to go to Burchfield School, while attending school she entered the 6th grade and advanced to the 7th grade after the first six weeks of school. She was transferred to the 7th grade due to her ability and knowledge. During this time she enjoyed and was, as I understand today, from fellow friends (classmates that she went to school with) was an outstanding basketball player. She attended her freshman and sophomore years at Oneida High School. She started at a young age working, at her first job, at the E & W Café in downtown Oneida, Tennessee, after school, weekends and summers as a waitress. She substituted teaching when her children started school and was a well-known substitute teacher. In the summer of July 1959, she decided to get married to her children’s father and continued to live in Scott County, Tennessee where, by the age of 21, she had three children, Dwayne, Paula and Joe. Now she has seven grandchildren and ten great grandchildren at the present time. We, her children, would like to thank the owners of E & W Café for the opportunity of employment that was given to our mother at such an early age, to give her the opportunity to know and achieve her goals in life today. My mother was the 6th child of 7 siblings. Her parents were Lee Crabtree (09/09/1901 – 03/21/1962) and Margaret Slaven Crabtree (12/28/1911 – 04/12/1982), and they were married on November 21, 1929. Today she has retired to spend time with her family, grandchildren and to enjoy life. Still is very active and stays very busy. Four Oaks Funeral Homes, Huntsville and Oneida, are operated and owned by her daughter, Paula Bridges, after the retirement of her mother. She purchased the funeral homes in 2002. Four Oaks Funeral Home, with locations in Huntsville and Oneida Tennessee, is family owned and operated by Paula Bridges. 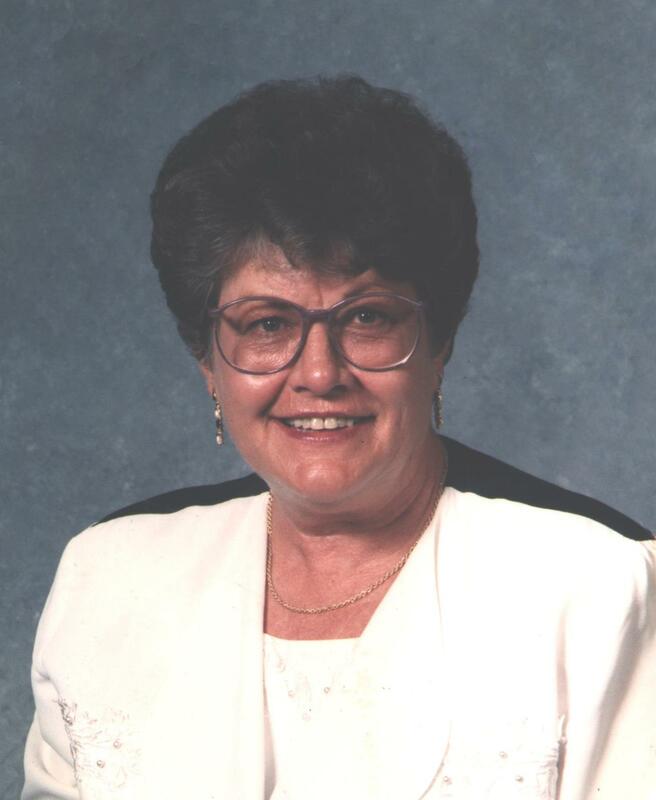 Paula purchased both locations of Four Oaks Funeral Homes in 2002 from her mother, whom had decided to retire so that she could enjoy more time with family and the grandchildren. Paula and her staff have been members of the surrounding communities for years — supporting and contributing to the local schools, churches and charitable organizations. The Funeral Home(s) are members in good standing with the National Funeral Directors Association, Tennessee Funeral Directors Association, Tennessee Funeral Directors Burial Association and the Scott County Chamber of Commerce. Paula, Kailee, Kenzilee, Kamden, Ashilee, Jayilee and Keiston Paula has 2 daughters, Kailee and Ashilee and 4 grandchildren, Kenzilee, Kamden, Jayilee, and Keiston. 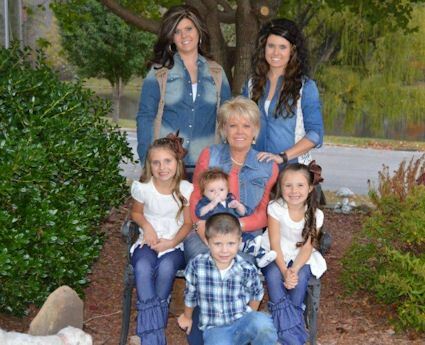 Paula resides in Huntsville, Tennessee and loves spending time with her children and grandchildren. She also enjoys farming (raising Red and White faced Herefords), outdoor activities and volunteering within the community. Paula attends White Rock Baptist Church.